Many people enroll their kids in day care where they can learn and play while their parents are at work. Pet owners have similar reasons for signing their pups up for dog day care. This fun resource has a lot to offer busy animal lovers, some of which are detailed in the guide below. No one wants to leave their dog in a kennel for hours while at work. However, this is often one of the safest places since it stops them from eating items they shouldn’t or otherwise getting into trouble around the house. Alternatively, at dog day care, they can be free to roam the play area without risk to your shoes or furniture. Many dogs love making friends. 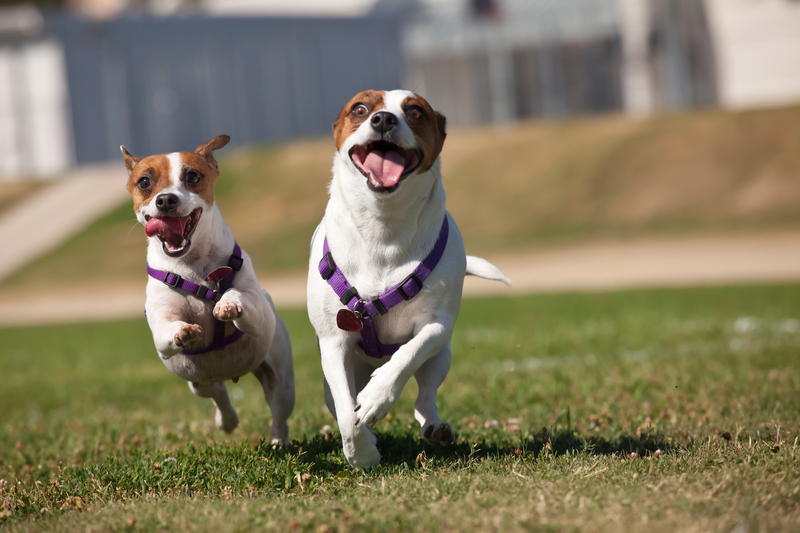 In addition to their weekend trips to the dog park or the beach, your pup will enjoy romping with its pals at dog day care. There, they’ll enjoy supervised play groups based on the dogs’ play styles and sizes to keep everyone safe and having fun. At the end of a long day you may not want to have to deal with a hyper dog who's waiting at home for a long run. Give them the opportunity to roughhouse and play, so they’re tuckered out when you pick them up. Then, you both can go home together to relax and snuggle before bed. If you’re looking for a local dog day care, contact Dogtopia of Highland Village in Denton County, TX. Their highly-trained team of passionate animal-lovers offers half-day and full-day programming with constant supervision in large, climate-controlled playrooms. Call (972) 264-1178 or visit the website to learn about how you can check on your pup via their webcam system.